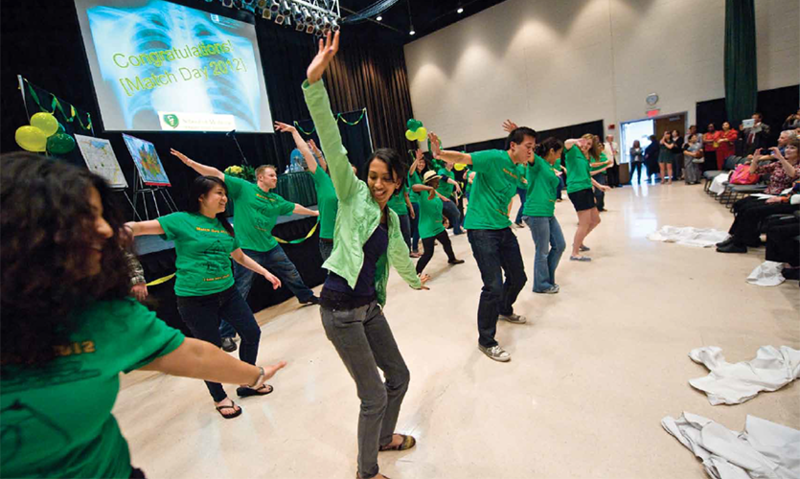 2012 is a year of transitions for the Wright State University Boonshoft School of Medicine. I will be stepping down as dean on October 1 when Marjorie Bowman, M.D., M.P.A., professor and founding chair of the University of Pennsylvania’s Department of Family Medicine and Community Health, will become the sixth dean of the medical school. This year, we also said farewell to the medical school’s second dean, William D. Sawyer, M.D., who passed away in March at the age of 82. It has been my distinct honor and privilege to serve as dean of the Boonshoft School of Medicine for the past 14 years. The successes and accomplishments of the medical school during my tenure are the direct result of the outstanding leaders, faculty, staff, and students at the Boonshoft School of Medicine and Wright State University. The opportunity to work with these exceptional individuals and observe the growth of the medical school has been the highlight of my career. I thank you all for your dedication, compassion, scholarship, and service to our mission—the education of the next generation of physicians, research to find the treatments and cures of tomorrow, and service to improve health care in our community. I would like to welcome Dr. Bowman to the Boonshoft School of Medicine. Dr. Bowman comes to us from the University of Pennsylvania where she serves as professor and founding chair of the Department of Family Medicine and Community Health, and director of the university’s Center of Public Health Initiatives. As a family medicine physician and director of the University of Pennsylvania’s Center of Public Health Initiatives, she brings with her a wealth of experience and commitment to community partnerships that will serve the medical school’s mission well. Thank you all for your generous support through the years. Without the tireless work of the Wright State family and our alumni and friends, none of this would be possible. I look forward to reading about the future successes of the Boonshoft School of Medicine in these pages for many years to come. Marjorie Bowman, M.D., M.P.A., professor and founding chair of the University of Pennsylvania’s Department of Family Medicine and Community Health, has been named dean of the Boonshoft School of Medicine. Bowman will succeed Howard Part, M.D., who is stepping down after 14 years as dean to resume his teaching career as a full-time faculty member in the medical school. Three new transplant surgeons have joined the Miami Valley Hospital (MVH) Transplant Center and the faculty of the Boonshoft School of Medicine. Timothy Cope, Ph.D., Jerald Kay, M.D., Christopher Wyatt, Ph.D., and Lori Metivier won awards for 2011-12, and Cameron Chumlea, Ph.D., and Dean Parmelee, M.D., won awards for 2012-13. The new Wright State Physicians (WSP) medical office building recently constructed on the Wright State campus has opened ahead of schedule, with the first tenants moving in in June. The facility will provide much-needed medical care for the residents of Clark, Montgomery, and Greene Counties. The Association of Women Surgeons (AWS) honored Margaret Dunn, M.D., M.B.A., FACS, with its most prestigious award, the Nina Starr Braunwald Award, in recognition of her outstanding contributions to the advancement of women in surgery. She was presented with the award at the annual AWS Fall Conference in San Francisco last October. Wall space is hard to come by in Dr. Jerald Kay’s office, and he likes it that way. Seemingly every square inch of vertical real estate is covered in large photos that Kay has taken from his world travels, a cadre of visual stimuli that wraps visitors in a cocoon of color and contrast, and raises questions about where and when the photos were taken. Put simply, he’s a shutterbug who enjoys sharing his treasures. For the caregiver of someone suffering from dementia, help can seem far away in the middle of the night. So it was recently for a woman whose husband, instead of sleeping, suddenly decided he had to go somewhere. Larry Lawhorne, M.D., described the episode involving an unnamed patient and his wife. When Howard Part announced last fall that he was stepping down as dean of the Boonshoft School of Medicine, it signaled the end of an era. The pieces are falling into place at the WSU & PHP Neuroscience Institute, where codirectors Timothy Cope and Kenneth Gaines are finding ways to integrate biomedical research at Wright State with the clinical resources of Premier Health Partners. In February, the Boonshoft School of Medicine, Wright State Research Institute, and Premier Health Partners announced a new clinical trials initiative to increase medical research opportunities for physicians and clinicians and boost access to clinical trials in the Dayton region. Born with a rare genetic disorder that limits her height to three-and-a- half feet, first-year pediatrics resident Nadia Merchant lets nothing get in the way of her medical career or her love of travel. School was out for the day. The children slumped around a tiny television, its flickering images dancing on their vacant faces. It was just another afternoon at the St. Vincent de Paul Gateway Shelter for Women and Families. But there was one difference that day. A student in the Wright State University biomedical sciences Ph.D. program was touring the Dayton shelter. And the image of children idle and listless would burn in his brain, clawing at his conscience. So Eric Romer brought it up with Wright State medical student Adam Deardorff one day during lunch. Members of the entering class of 2016 conquered the outdoor climbing and rappelling tower and a low ropes course at the Wright State Challenge Course during orientation week. The experience helped the 103 students get to know one another during their first week of medical school. Orientation kicked off on July 27 with an ice cream social. Students and their friends and family members also attended the Convocation and White Coat Ceremony on July 29 in the Schuster Performing Arts Center. On March 16, 95 graduating Boonshoft School of Medicine students joined medical students nationwide to learn where they will pursue residency training. Gathered with family, friends, and other supporters in the Student Union Apollo Room on the Wright State campus, the students took part in a national event that has become a rite of passage for those on the brink of becoming physicians. Ninety-five members of the Wright State University Boonshoft School of Medicine class of 2012 were awarded M.D. degrees during the school’s 32nd commencement ceremony at the Benjamin and Marian Schuster Performing Arts Center on Friday, May 25. Robert Fyffe, Ph.D., Jerome Yaklic, M.D., and Kenneth J. Gaines, M.D., M.B.A. take new positions. It’s the title of a painting chosen by the United Nations after a worldwide search for its 2012 Autism Awareness Stamp. The fact that it was painted by 20-yearold Hannah Rose Kandel—who was diagnosed with autism at age two— comes as little surprise to her father. Career success can sometimes sabotage a happy marriage — and vice versa. But for Dominic Bagnoli, M.D., and Vivian von Gruenigen, M.D., the two go hand in hand. Not everyone who needs a new kidney can get one. Finding a match can be difficult, waiting lists long. For M. Scott True, M.D., a physician at Orthopedic and Sports Medicine Consultants in Middletown, who was suffering kidney failure, time was running out. What he didn’t know was that a kidney matching his was sitting right down the hall in the form of Scott Albright, M.D., (’03) a Wright State University graduate who had worked closely with True for five years. 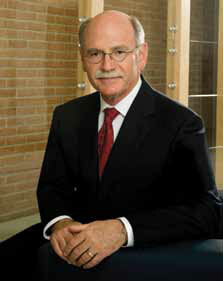 Herman Hobohm, M.D., is now the medical director and plant physician for General Motors in Parma, Ohio. William D. Sawyer, M.D., the second dean of Wright State University Boonshoft School of Medicine, died on March 20 at the age of 82, following a lengthy illness. He was a resident of Temple, Texas.